As we have discussed in a previous blog, “Kitchen Zones”, we have understood the importance of implementing a clear plan for zoning. The food storage zone has a cold zone (the refrigerator), and this is where we store all of our perishables. So what’s one way of making this space look good? Well, one of our “secret” kitchen design tips is to panel-in your fridge and include a full depth cabinet above. This will give a purposeful built-in look without having to go fully integrated – plus, who can complain about additional storage!? 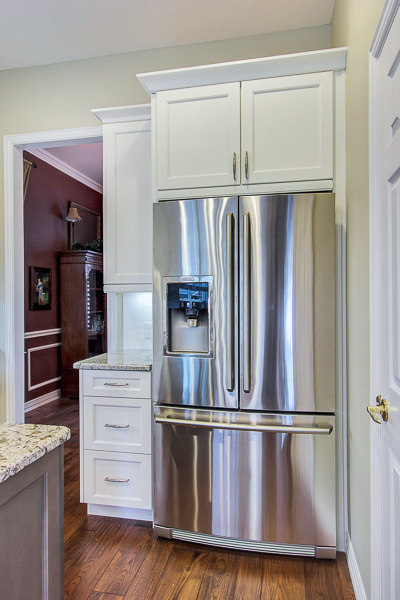 If you have a free-standing fridge, adding panels to the left and right, then topping it off with a full-depth cabinet, will give it a built-in look! Drawer storage accessories help you organize cutlery, cooking utensils, mess drawers and more. But our “secret” tip for maximizing storage space is to go one step further by adding another tier to the drawer, almost like a hidden drawer! 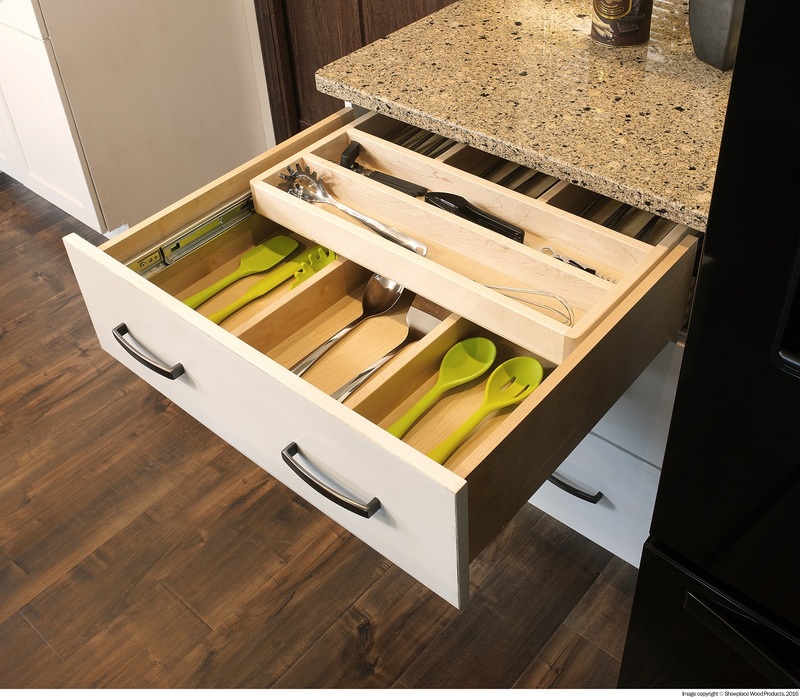 Now, we don’t recommend this for every drawer, but including one or two (depending on your kitchen size and storage needs) of these additional tiers in your kitchen will maximize your storage opportunities. The two-tier drawer, almost like a “secret” compartment, can really help maximize the storage in your drawer. 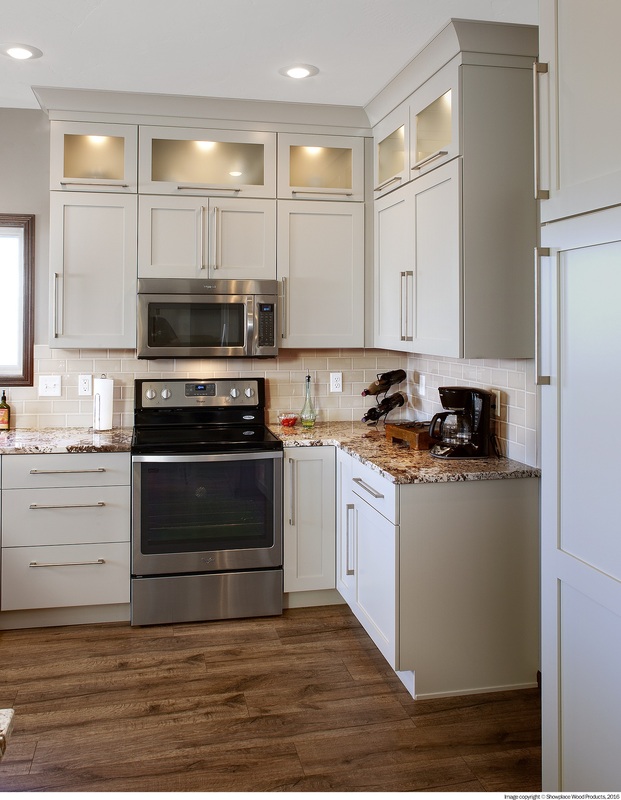 One thing we love and our clients love is glass-front cabinetry. Glass-front cabinetry gives you the opportunity to display items and it also gives the illusion of openness in the kitchen. One thing to keep in mind though, is location, location, location. We know that glass looks great, but we never recommend these near the cooking area. With steam, grease, and other particles swarming about while cooking, you’d need to clean the glass each time you cook. Think about putting glass-front cabinets further away or higher up, such as a top row. Here we have placed the glass on the top row of cabinets, keeping it away from the cooking area. If your project involves incorporating a new backsplash tile, one thing to keep in mind are your outlets in the backsplash area. If your backsplash is white, you may not need to worry as outlet covers commonly are white. But if your backsplash is any other color, consider incorporating a matching color! The same goes for outlets on your kitchen island. If you have a dark brown stained island, it would be an eye-sore to have stark-white outlets. So, think about every small detail – yes, even outlets! The outlet cover on the island blends with the grey stained island, making it less noticeable. Our kitchen design secrets may not be so secret because we love to share. 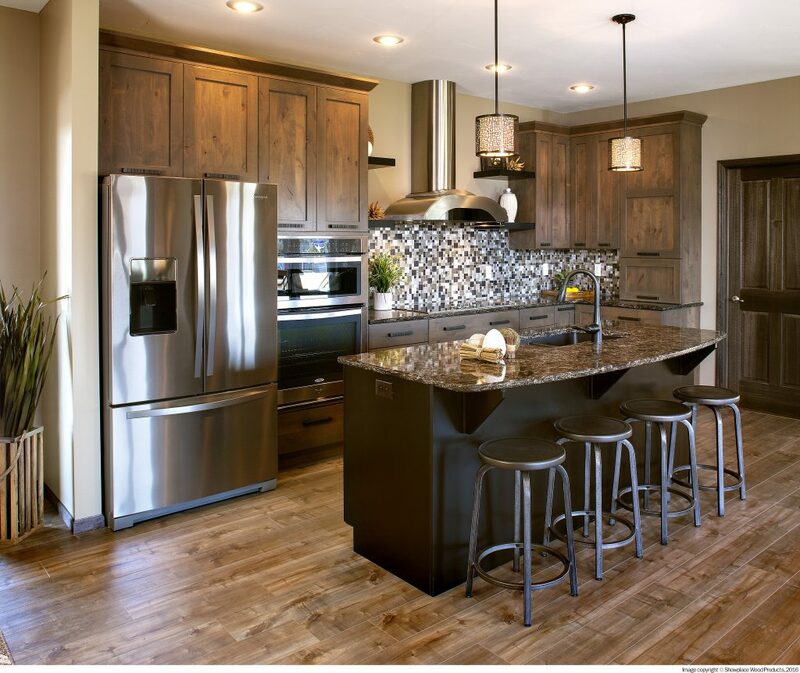 Hopefully, some of these tips will help you elevate your kitchen design. While there too many tips and secrets to be shared, we realize that even the smallest of details make a difference! 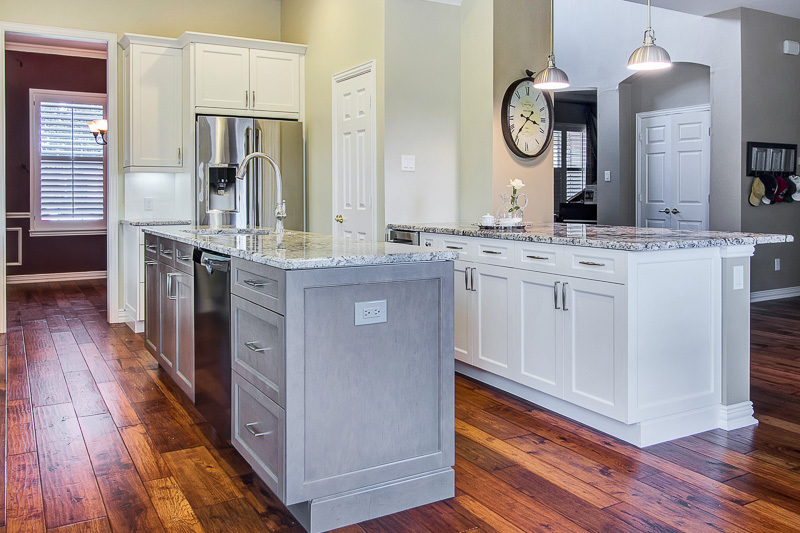 If you find yourself wanting more information or have any questions, feel free to connect with our design team for our expertise in kitchen design!